First you need to open the Control Panel. You need to have Windows 8 Pro or Ultimate and a 64 bit processor. 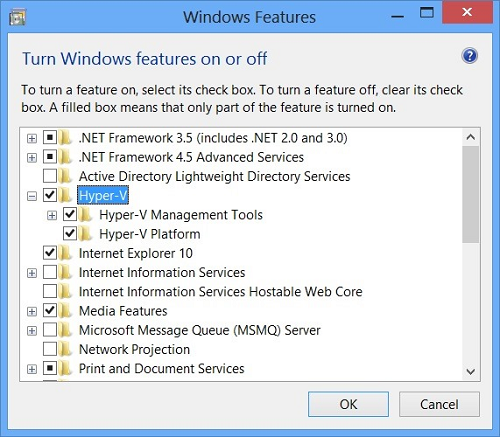 Then choose select Programs and Select Windows Features. That’s all. 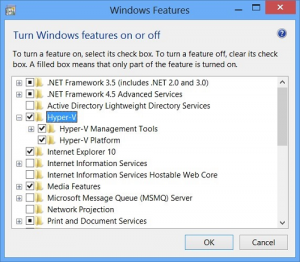 Don’t forget to check into a Windows 8 Hyper-V backup solution, too.